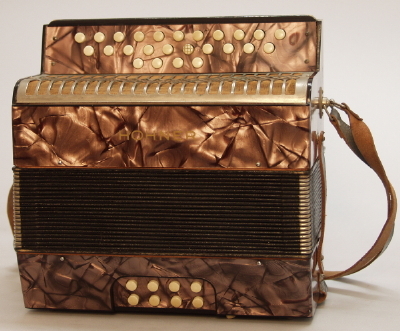 M. Hohner Liliput Model Button Accordion, c. 1930's, made in Germany. Height is 9 in. (22.9 cm. ), 8 3/4 in. (22.2 cm.) width, and 5 in. (12.7 cm.) deep.